Whatever sport you’re into, you can do it here: basketball, bowling, cricket, football, golfing, gymnastics, racing, rugby, soccer, softball, squash, tennis, track & field and volleyball to name just a few. Throughout The Bahamas, it’s easy to find a friendly game to join. And we always welcome a good match. The sports-minded can indulge their passion through tennis on hard-surface courts on mainland Eleuthera at Cape Eleuthera Resort and The Cove Eleuthera Resort; on Harbour Island at Coral Sands, Pink Sands and Romora Bay Club. Courts are for hotel guest use only and some are lighted for night play. Tennis lessons are available from a local pro for an additional fee. Some golfers see the Atlantic Ocean as one great water hazard; others know that championship fairways and greens are but a chip shot away. Try your luck on one of our three courses. 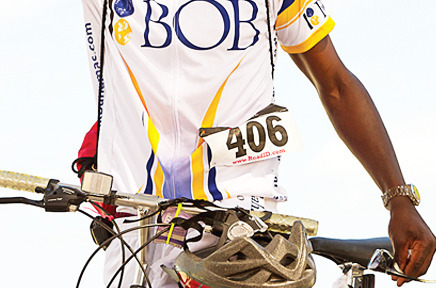 Several biking tours take advantage of Grand Bahama Island’s favorable terrain while providing an opportunity to work out on vacation. The annual Bernie Butler Swim Race and the Conchman Triathlon are some of the key sporting events here. Tennis courts are available at some resorts for the use of guests and there are also public facilities. Beach volleyball courts are at Club Caribe, Margarita Villa Sand Bar, Lucayan Beach, Paradise Cove, Pirates of the Bahamas, and at Tony Macaroni's on Taino Beach, where there's usually a game on Saturday afternoons. There is no season to limit play in Nassau & Paradise Island, just year-round blue skies and warm weather. If you enjoy golf, beautiful settings abound, framing tee boxes and fairways with picture-perfect backdrops for your best shot. And whatever your handicap, you'll enjoy playing here. Sporting arenas exist to accommodate a number of other sports: a national swim complex, a full-service tennis facility, and the national stadium designed for events like American football, rugby, soccer, and track & field. 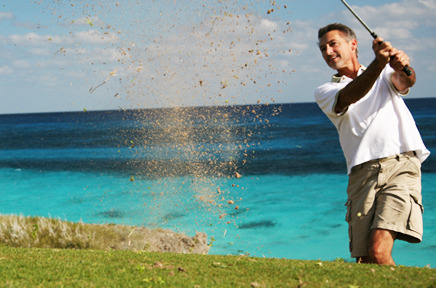 Two golf courses are found in The Abacos, at Treasure Cay Resort on Great Abaco and at Bakers Bay Resort on Great Guana Cay. They are mere feet above sea level and offer fairways and greens that await golfers eager to bring their game to a new level. The beautiful scenery can turn even a bad round into a flawless day of vacation. You can play tennis on three different surfaces here, some lighted for night play. 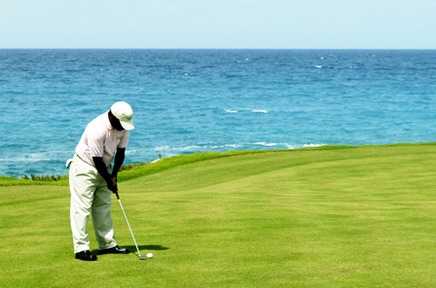 The Sandals at Emerald Bay Golf Course is considered one of the world’s greatest ocean-side clubs and has been called "The Best Golf Course in the Caribbean." 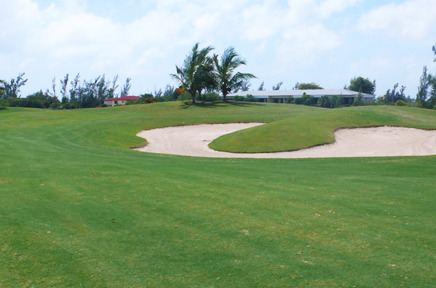 This challenging, 18-hole championship "green" golf course was designed by Greg Norman. It uses an environmentally friendly seashore paspalum grass that is very dramatic against the ocean blue. Tennis is available in Great Exuma for hotel guests only—six clay courts at Sandals Resort, with free tennis classes, and two hard-surface courts at February Point Resort. All are lighted for night play.